When Alex Smith found the faith he wanted to join he wasn’t going to let his disability get in the way. The 19-year-old National Star student was baptised in our aqua therapy pool, watched by family and friends. 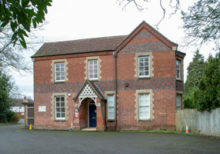 National Star has announced major plans to develop a Hereford property dedicated to the support of young people with disabilities and learning difficulties. National Star’s Physiotherapy Manager has won a national award in recognition of her work with young people with Acquired Brain Injuries. 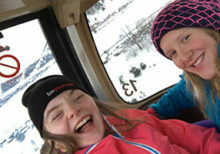 A week celebrating beer as well as local pubs, bars and breweries, raised thousands of pounds to support young people with complex disabilities. 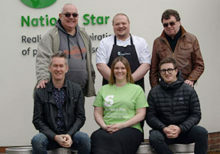 Cheltenham and Gloucester Beer Week, which included the profits from the sale of two special collaborative beers, raised £7,704 for National Star. National Star has been shortlisted for three national awards. 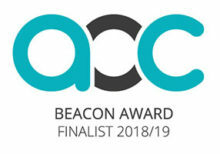 We are a finalist in two categories of the Association of Colleges (AoC) Beacon Awards and a finalist in the Specialist College of the Year category in the TES FE Awards. Hartpury University and Hartpury College have come to the aid of National Star and young people with complex disabilities by donating a rugby post protector.